With every upgrade on iOS, Apple is making iCloud Activation Lock tougher for hackers to unlock because user data and iOS device security are very important to Apple. It is very important to remember your iCloud username and password, as Apple would always require it from you when you want to make use of its services. Therefore, if you want to buy a used iPhone, make sure that the previous owner’s iCloud account is not linked to the device. However, if you forgot the passcode to your iCloud account, or bought a device that is iCloud activation locked, you can use iCloud Activation Bypass Tool v1.4 to unlock your device. What's iCloud Activation Bypass Tool v1.4? The iCloud Activation Bypass Tool v1.4 is a tool that’s used to bypass iCloud account verification process and unlocking an iCloud locked device. Hence, is simple words, iCloud Activation Bypass Tool v1.4 is a tool that helps you to remove the iCloud account from an iOS device without a password. In reality, the iCloud Activation Bypass Tool v1.4 doesn’t bypass iCloud activation lock but only bypasses iCloud account from an activated iOS device. 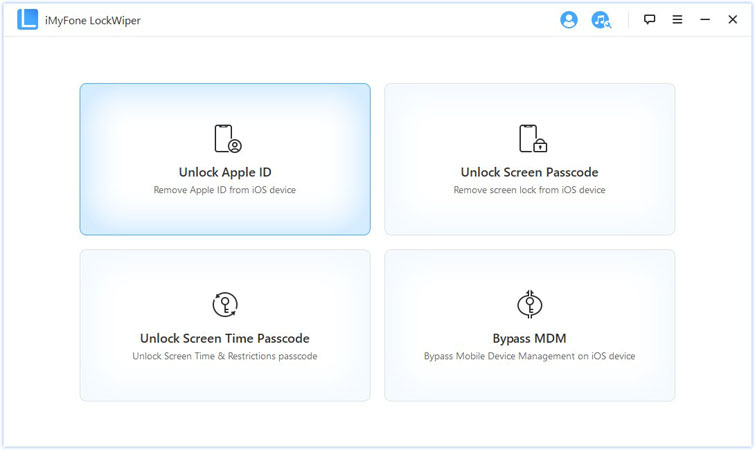 Therefore, if what you want to remove an iCloud account from your iPhone, then you can use iCloud Activation Bypass Tool v1.4, but if you’re having Activation Lock on your iPhone, this tool will be useless to you. Step 1. Go to http://icloud-bypass.net/ to download iCloud Activation Tool v1.4. Step 2. Extract the.Zip File and run the .exe file. Step 3. Follow all the instructions that are given on your computer screen. Step 4. Now, you can successfully enjoy iCloud Bypass Activation Tool v1.4. However, based on fact that iCloud Activation Bypass Tool v1.4 can only remove the iCloud account from an activated iPhone but cannot remove Activation Lock from iPhone, it is evident that the software is ambiguously named, and can be termed deceptive. Besides, though some websites recommend this tool to bypass iCloud account, it’s very hard to find the place to download the tool. The download link given above doesn’t 100% ensure that you can download the program successfully. What’s worse, there is no other way to download this tool anywhere online. Since iCloud Activation Bypass tool v1.4 is hard to access, why not consider an alternative which is easily available. You can use iMyFone LockWiper instead. Don’t be discouraged of this better option for removing iCloud account from your iPhone/iPad/iPod touch. LockWiper has already helped a great amount of iPhone users to successfully delete iCloud account and Apple ID without password and has been highly spoken of. It’s easy to use and fast to complete that only a few clicks and a few minutes are enough. Step 1. Download, install and launch iMyFone LockWiper on your computer. From the home interface, choose “Unlock Apple ID”. Step 2. Connect your iPhone or iPad to the computer. Trust your device connection with this computer. Then click “Start to Unlock” to proceed. Step 3. LockWiper will start unlocking immediately. When Find My iPhone is enabled on your device, you may need to reset all settings on your device first. When your device restarts, LockWiper starts the unlocking process.